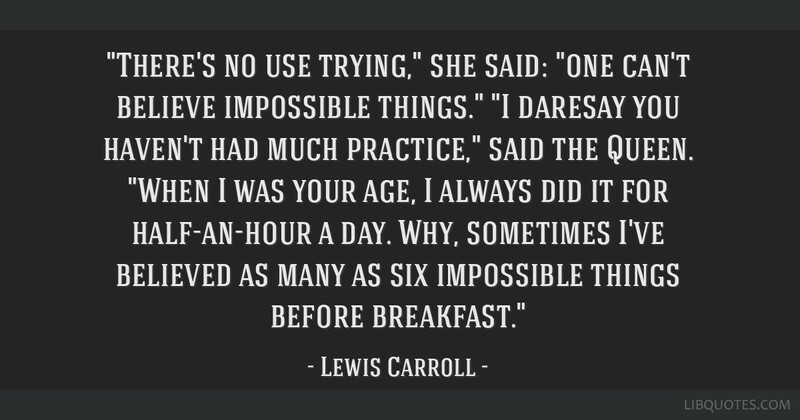 "There's no use trying," she said: "one can't believe impossible things." 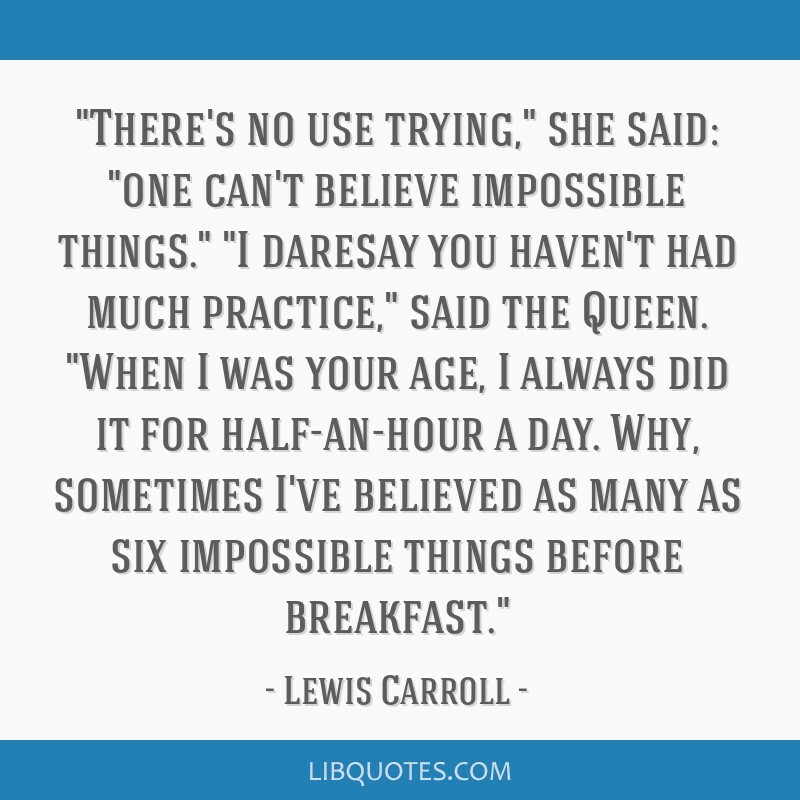 "I daresay you haven't had much practice," said the Queen. 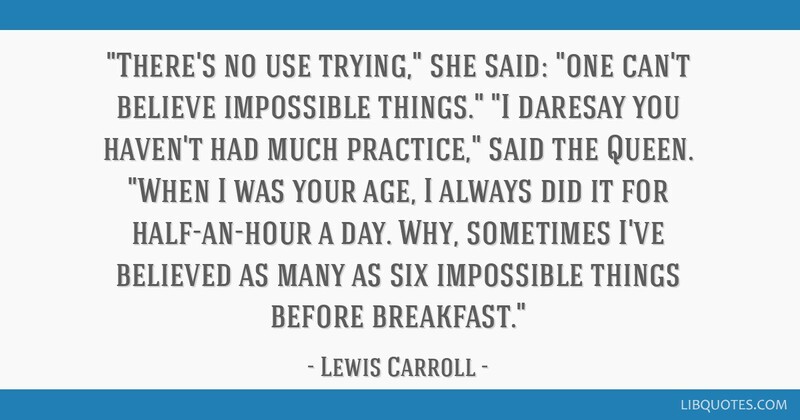 "When I was your age, I always did it for half-an-hour a day. 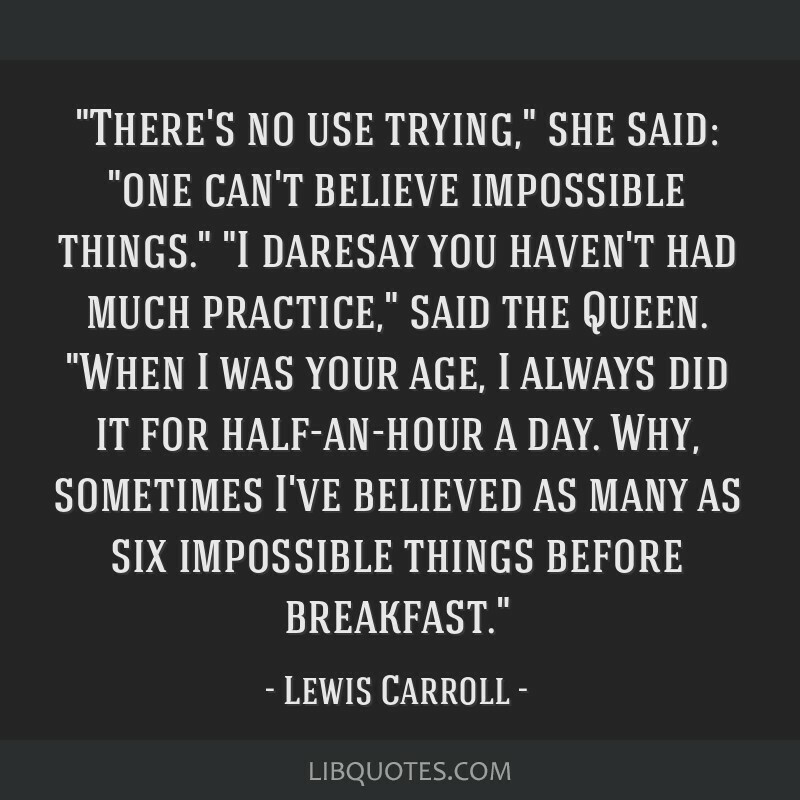 Why, sometimes I've believed as many as six impossible things before breakfast."